Realme saw a 900% growth over brand’s first ever in-store sale! 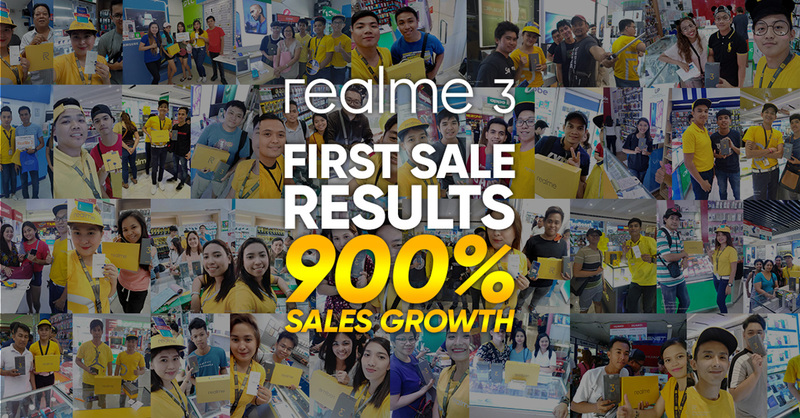 Shortly after its successful Shopee 4.4 Sale, smartphone brand Realme recorded another major milestone during the Realme 3’s in-store sale. The Realme 3’s offline release’s sales were higher by 900 percent compared with realme Philippines’ first offline sale last year. This new record is a testament to the great deal that the brand offers with its latest smartphone, the Realme 3. The phone not only has a low price tag, it’s also packed with great cameras and a speedy processor. The Realme 3 is available now online for PHP 6,990 (3GB+32GB variant), and it’s also available in stores for PHP 9,990 (4GB+64GB variant). Meanwhile, the 3GB+64GB variant will be available on April 13 for PHP 7,990.